The Bellagio Fountains in Las Vegas, USA. The US$5000 FleurBurger at Fleur by Hubert Keller in Las Vegas. The High Roller in Las Vegas, USA. 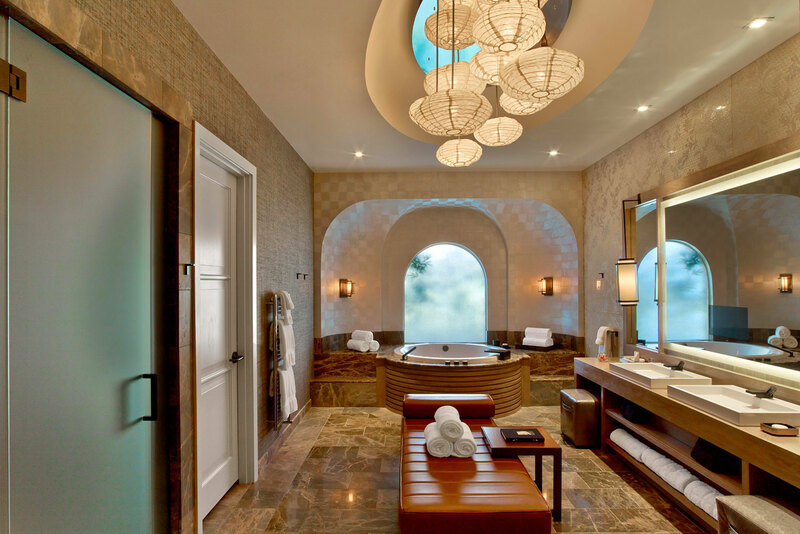 The Nobu Villa bathroom in Caesar’s Palace, Las Vegas. The Golden Opulence Sundae from Serendipity 3, Las Vegas. Always wanted to explore the City of Sin, but so far have been unsure how to do it with any sense of gusto? Well, don’t you worry, we have the recipe for quite the unforgettable Las Vegas escape if you have the guts… that is. 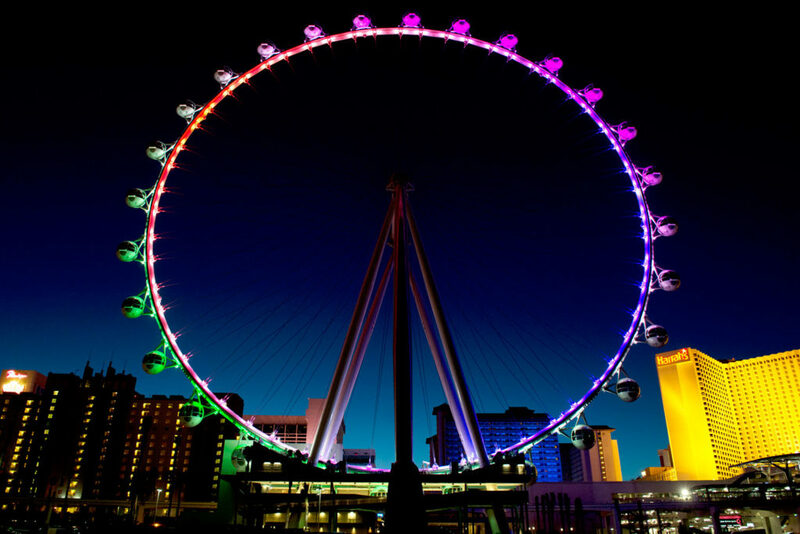 Be a high roller in more ways than one, inside your own private glass capsule on the High Roller – the world’s tallest observation wheel. Spinning 168 metres above the Vegas skyline, this landmark is connected to The LINQ’s outdoor shopping, dining and entertainment promenade. Hire a private capsule for your party of 40 or just you and your one someone special, complete with open bar and 360-degree views over the city. It takes 30 minutes to do a full rotation, so you can even tie the knot mid-air! From US$47 per person for a night ticket. 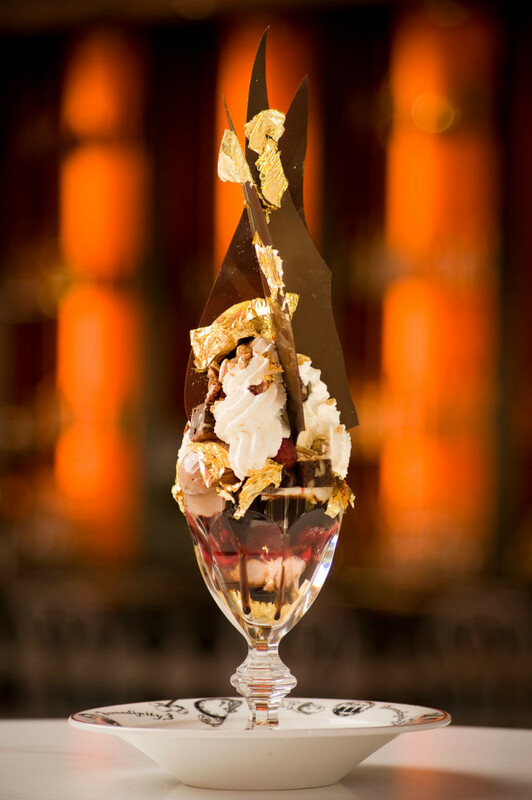 At Serendipity 3 ice creamery at Caesar’s Palace, lash out and order the Golden Opulence Sundae, made with rare ice cream and chocolate, topped with edible 23-carat gold leaf. At US$1000 a pop, it was listed in the Guinness World Records as the most expensive sundae in the world in 2007. Champagne and a Natural World Wonder – what better way to start the day (or end it)? Papillon offer sunrise and sunset helicopter tours from Las Vegas, landing within the Grand Canyon, almost one-and-a-half kilometres below the rim. Once landed, expect a champagne picnic with world-class views, as towering cliffs marked by time and red iron deposits surround the plateau. The scenic flight also includes views over Hoover Dam and Lake Mead, which are almost as impressive at the world-renowned landmark itself. From US$484 per adult. 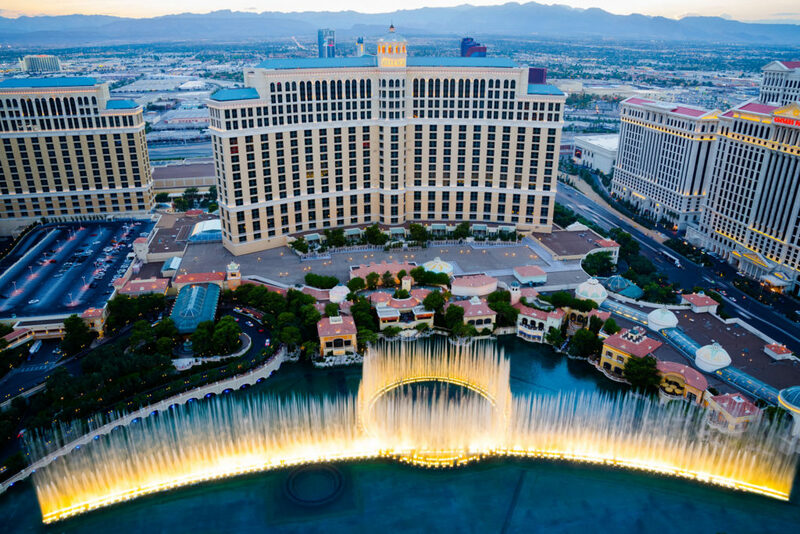 If you’ve got a pretty penny to spare, US$250,000 worth of them in fact, you can control one of the city’s most iconic landmarks, the Bellagio Fountains. At the casino’s Hyde nightclub, you’ll be shown to your own VIP table on the waterfront patio before being presented with a 30-litre bottle of Ace of Spades (equivalent to 40 bottles of champagne), and a gold-plated box. Inside the box will be a selection of songs to choose from and a red button – pick a tune, press the button and watch the fountain show unfold. Attention burger aficionados, we’ve found the world’s most expensive (and presumably tasty) specimen. 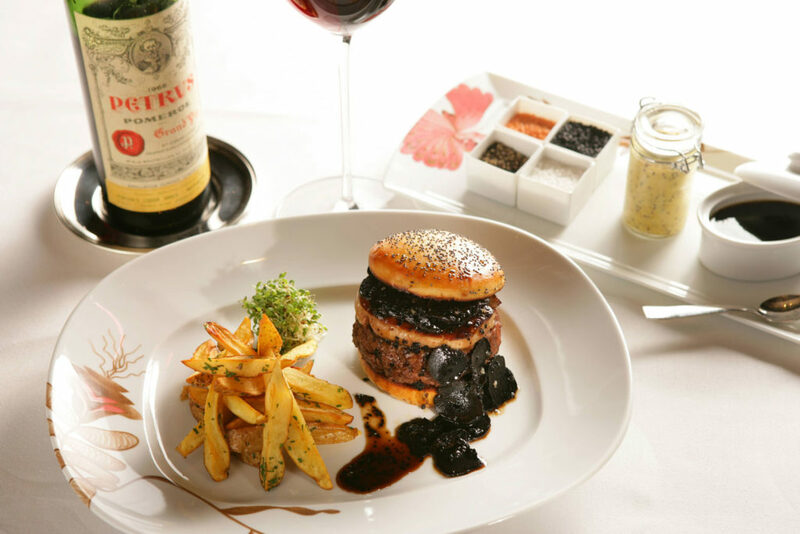 The US$5000 FleurBurger at Fleur by Hubert Keller is a decadent tower of Wagyu beef, foie gras and shaved black truffles, sandwiched between brioche buns. Those who brave this wallet-busting burger are rewarded with a complimentary bottle of Chateau Petrus 1995 served in Ichendorf Brunello crystal glasses. And if the receipt isn’t a sufficient keepsake, the bottle and stemware are shipped to the guest’s home after the dining experience. Ever wondered where the stars stay during a decadent Vegas visit? For some of the biggest celebs (we’re looking at you, Bieber), The Nobu Villa in Caesar’s Palace is their number one choice. For a humble US$35,000 per night, this exquisite three-bedroom rooftop villa (covering just shy of 1000 square metres) is Japanese-inspired design at its best. Custom music, fine cuisine by Nobu chefs and spa services further sweeten the experience, while the outdoor deck is almost as extravagant as the interior with its garden, whirlpool, fire and water feature, full bar, dining area, barbecue pit and views over The Strip. Rev heads, rejoice. 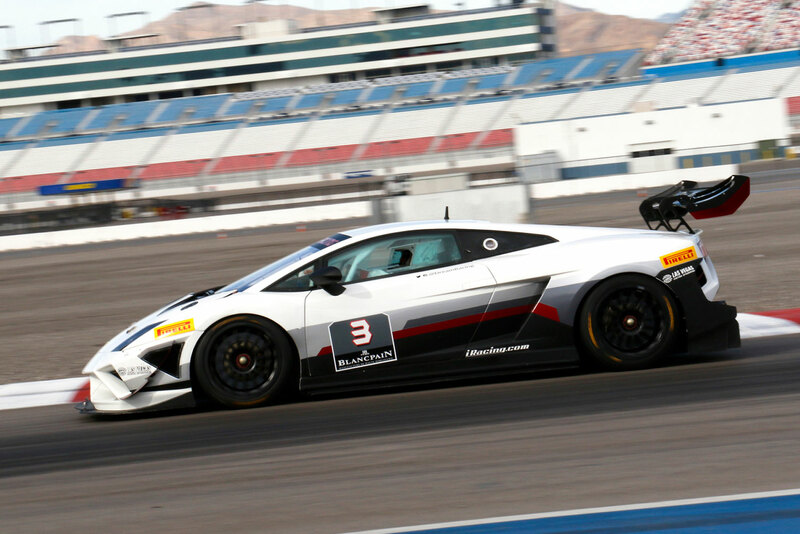 For a truly five-star driving experience, pay a visit to the famed Las Vegas Motor Speedway. Here you can choose from a selection of the world’s top race cars – Lamborghini, Ferrari, Porsche – and select a racing package to suit. The ‘Full Throttle’ option for instance comes with full training, first-hand experience driving laps, video recordings and expert analysis, plus a gift bag including racing shoes and gloves, under-suit t-shirts and hat. (covering just shy of 1000 square kilometres) BIG ROOM! Thanks, Jacqueline. Even at 1000 square metres, it’s still big.